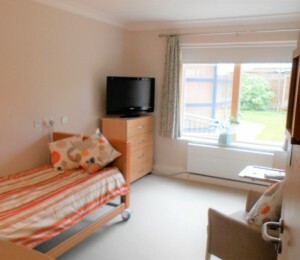 WINTON HOUSE is a care home offering quality care. The home aims to provide the best possible care, comfort and happiness to meet the individual and special needs of every guest. Winton House is registered to provide personal care for up to 36 older people, male or female. Accommodation is situated on two floors, which are served by a passenger lift. There are two large lounge areas, a large dining room and a beautiful conservatory area over looking a large private garden. There are specialist baths and wet rooms. Accommodation can be offered on a short or long term basis. Family, friends and other visitors are welcome at all times. We are staffed 24 hours a day by a well-trained and motivated team. Whenever possible a choice of gender will be offered. 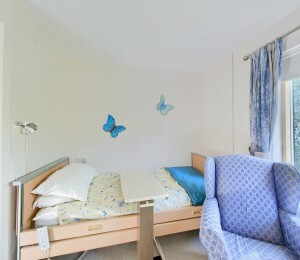 All rooms are single with en suite facilities, television and telephone points, a care call bell system and profiling beds. These prices are only a guideline, please press the Request Information button or call a member of our team on 03338804183 to find out the exact price for your requirements. The Abbeyfield Maidenhead Society is a charity, that was set up by Sir Nicholas Winton in 1973, we have 2 care homes Nicholas House in Buckinghamshire and Winton House in Berkshire, where we provide accommodation, quality care and companionship for the lonely or frail elderly in the local community. We strive to provide the best possible quality care, tailored to meet residents needs and aimed at maintaining their individuality and independence. Our values underpin everything that we do at The Abbeyfield (Maidenhead) Society and these are behaviours that you should expect to see every day. The society is run by an executive committee, all of whom are dedicated volunteers and give up their free time for this worthy cause.